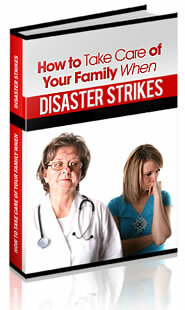 Sitting down with your family and doing a Disaster Risk Assessment should be your first step in preparation. In business we call this a Business Impact Analysis, or (BIA). What this means is that we determine all risks that could affect each of us from the most likely to the least likely. Then we determine how to prepare for them. Just like every business, we are each individually different. So one families disaster risk assessment would be different from another family. Also, as time goes by your risks will evolve. When doing a disaster risk assessment. You need to look at man-made disasters such as terrorism, loss of job, and car crashes. Then you need to look at natural disasters such as hurricanes, flooding, or snow storms. Once you have determined all the disasters that could affect you from most likely to least likely. You then need to determine what is needed to prepare. You need to look at what skills are needed, how much to save, or what do you buy? After you have determined your risks, and how to prepare for them. You should begin discussing how to handle the aftermath of each disaster. Once you have done your disaster risk assessment. You should then be able to focus more on your individual survival needs. This will keep you from falling into the "as seen on TV" traps. These are the shows where people are building castles and hording missile launchers. These shows are not reality. Even Mick Dodge, the star of "The Legend of Mick Dodge" agreements. In that show, they make him look like this ultimate survivalist guru. He says during an interview with the Pennsylvania News, "It's a show, a TV show. Loss of Income or pay cut: Currently the oilfield has been hit hard with layoffs due to oil prices falling. So I would combat this by saving up and adding more to my cash reserves. I would need the skills of budgeting to help accomplish this. If this crisis were to happen. I would start looking for another source of income as well as turn to bartering. Crimes against my family: My wife and I have experienced road rage, idiot teenagers asking for fights, and complete weirdos doing awful things in public. We would combat this by getting our invisible carry permits, and learning the skills necessary to be responsible gun owners. If this crisis were to happen. We would call 911 immediately and get an attorney. Terrorism: Because our government has failed to follow the constitution and protect us from invasion. I fear more bad people will continue to cross into our country through the southern border. We would combat this byoting, keeping an eye on our surroundings, and ours understood carry permits. We would discuss each of the main terrorist threats scenarios, and how to handle each one. Tornadoes: We live in Tornado alley. It is a reality in our lives. We combat this by having a scanner, and a storm shelter, with food and water. The skills needed are how to recognize the right climate, and understanding the weatherman's terminology. If this crisis were to happen. We would check for injuries to ourselves and others. Economic Collapse: 18 trillion dollars in debt our nation is facing, and Climbing! We would combat this by learning new trade skills that we could then barter with. Also, stocking up on basic supplies. If this crisis were to happen. All monies would most likely be valueless. We would use trade skills to barter with. Civil War or World War: The country is divided between ideologies and it is getting worse. Nations are fighting due to the economic policies and policies on terrorism. We would combat this by stocking up on supplies, learning skills of how to find food, and water for when we run out. Bartering would be another source of survival for the aftermath. You see, by using common sense, basic survival techniques, and staying focused. Each skill you learn can be utilized in many other disasters. If you spend all your time money building a castle. You would have none left to buy food, clothing, or learn a new trade skill. Of course this list is incomplete. It is just an example. But it gives you an idea for what you are looking for. Remember, your goal is to do a disaster risk assessment for yourself. What do YOU ? ?think is most likely going to happen that will affect YOUR life? A farmer would have worried about a droll affecting his income. But a truck driver would worry about his truck breaking down. Think of it as a budget on your life. When doing a budget with your finances you are making a plan for your money. You write down a list of what you will spend your money on. As you go down that list and allocate your resources from most important, to least important, you start to run out of money. You now have a focused plan on your finances, and your money will work harder to accomplish those goals. As you start funding those goals completely you can add new ones. Whether it be month by month, or year by year. It does not matter because it is your life. You adjust it as your life changes. Well, in the same sense you will be doing the same thing. Only on your life rather than your finances. What is the most important thing for you to prepare for? What is the least? Now you can start focusing more of your time and resources on accomplishing those goals. Perhaps down the road you find that your finances have changed for the better. You could then read your disaster risk assessment to focus on other possible disasters that may occur in your life. The idea is to focus your time and resources. So that you can and will get prepared. Rather than running around and being partly prepared for all the things that really do not matter.